Look up Gnatrol on Amazon or Ebay? 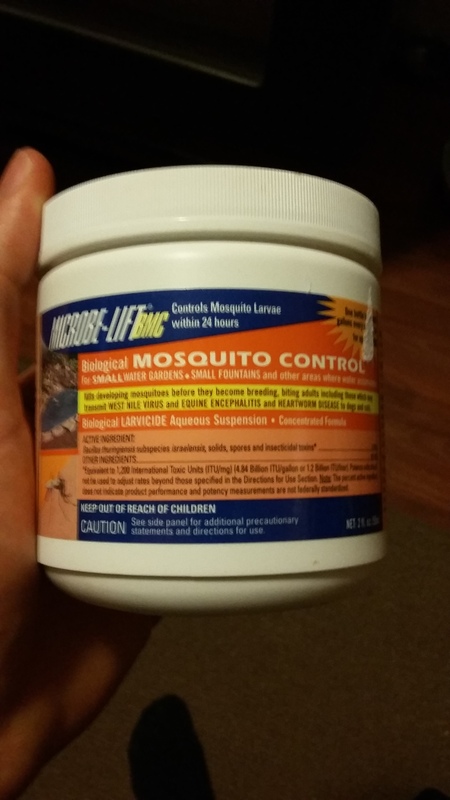 Hi @Williamb8790 I moved your thread/ post/question to a voluminous pre-existing thread which should provide you with various effective, safe solutions for those pesky fungus gnats. Ive been lucky with the FGnats thus far out here in CO but have battled them when in NOLA. I’ve only spotted them once and they were found dead on the sticky traps pretty soon there after. DE and a neem mix is good. The DE is like micro glass and when the larvae crawl over it, the DE shreds their bodies apart leaving a trail of guts for your plants to feast on. Either way, I’m always releasing 1500 lady bugs in my garden about every 60-90 days. Only reason I re release them is bc after a while they just die off and leave bc there is nothing for them to eat in my garden. Lady bugs work great as a preventative for things like FG and spider mites. But I’ve never found lady bugs to be a cure, more a preventative measure than anything else. With packs of 1500 lady bugs for $7-$15 on amazon, you really can’t beat the price when it means having a clean crop. I wouldn’t doubt the CO2 I run in my garden helps prevent bugs as well as it just isn’t an optimal environment for anything to live, aside from plants. Diatomaceous earth works for me. It is available at tractor supply. Over in the feed area. Food grade. I Put it into a half gal mason jar. Then with a large spoon I scoop it out and sprinkle over the top of the medium. I grow in coco so maybe thats why it works better for me? about a 1/8th inch dusting across the entire top when the top of your medium is dry. Then let that sit 24-48 hours without watering. You will still see those fuckers for about 3-4 days but they will slowly die off. Welcome to the party @godspeed! 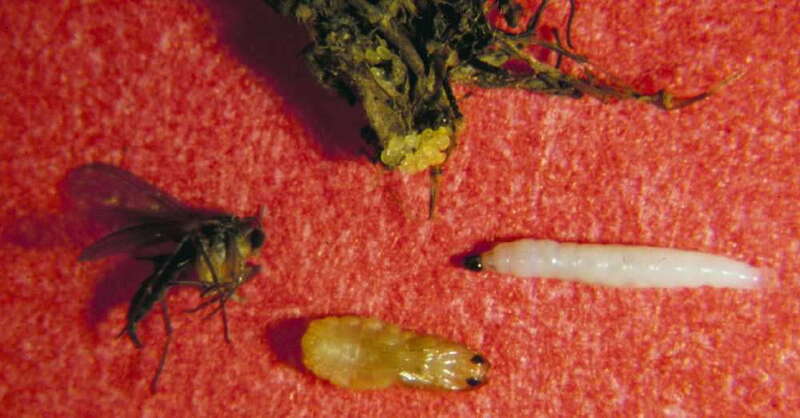 Rearing nematodes in wax worms may be a cheaper source to provide fungus gnat and shore fly control in the greenhouse. You have me wanting to order a couple of those monsters. just ordered the pellet version of these -- active ingredient in both is (I believe) Bacillus thuringiensis sub. Israelensis. i successfully used this as a mulch layer. it will grow some fungal hyphae (i think). and it will work in a couple of weeks. my new technique is trying to make a drench from safer BT caterpillar spray, but i'm working blindly with it. better than spraying down the surface right? have considered brewing some up with moe-lassey. anybody make their own sticky-traps? success? buying them retail is crazy. my tanglefoot on a neon card doesn't seem to have the same attraction. It worked! I was going to add that bit with my update, but there we have it. It took about the same time as the MosquitoBits/BTi...about 2 weeks, a week more and I expect none, but we'll see. The cost advantage is pretty clear for me: 20$ for bits covers a couple/few plants(way too $$), and the Safer Caterpillar Spray, I use anyway. I believe I dosed it at the same rate as the spray. Water less, let them dry out as much as you can without killing the plants. After put an inch or two of sand as a top soil. This will stop any gnats in the soil from getting to the surface. If i had pots with a few holes on the bottom i would temporarily tape them to stop adult gnats from getting in through the bottom. Killing adult gnats flying around with your hands when you can, clapping, helps also.It adds up eventually with all your other traps. You could make a home made natural trap of apple vinegar and water simply in a bowl, they will drown in it. Got a pretty bad infestation going on. Bought some of this today going to give it a whirl. I'll report back.